“Ahoy” was the original telephone greeting: Alexander Graham Bell suggested ‘ahoy’ (as used in ships), but was later superseded by Thomas Edison, who suggested ‘hello’ instead. The very first phone call was “Watson come here, I want you!” It was made on March 10 1876 in Boston, Massachusetts, between Alexander Graham Bell and his assistant Thomas A. Watson. Britain’s first mobile phone call was made across the Vodafone network on 1 January 1985 by veteran comedian Ernie Wise. Heinz Ketchup was invented the same year Alexander Graham Bell made his first phone call. Alexander Graham Bell thought the phone should be answered with "Hoy, Hoy" instead of "Hello". By 1910, New York Telephone had 6,000 women telephone operators. Mark Twain was one of the first to have a phone in his home. There was no technology for timing calls in the early days of telephones, so the phone company used to charge a flat monthly rate for service. In 1910 the train fare from New York to Philadelphia was $4.50. A phone call between the same two cities was 80 cents. As a tribute to Alexander Graham Bell when he died in 1922, all the telephones stopped ringing for one full minute. From one telephone in 1876, the count grew to 11,000,000 (million) telephones nationwide by 1915. In 1956 the first transatlantic telephone cable was placed on the ocean floor and rests as deep as 12,000 feet! It runs from Newfoundland, Canada to Scotland! 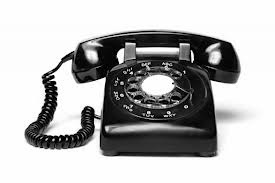 There are 149,084,370 telephone lines in the world and thousands more are being added every day. The origin of the phrase ‘to put someone on hold’ was Alexander Graham Bell handing over his telephone instrument to his partner Mr Watson and saying, “here, hold this”. Alexander Graham Bell experimented with his “harmonic telegraph” for two years before getting patented by the U.S. Patent Office. On March 10, 1876 he was able to get his phone to work. Heinz Ketchup was also invented in the year 1876, when Alexander Graham Bell made his first phone call. Mark Twain was one of the first people to have a phone in his home. Telephones grew quickly, from one phone in 1876 to 11 million phones nationwide by 1915, only in US. New York Telephone had 6,000 women telephone operators by 1910. When Alexander Graham Bell died in 1922, all telephones stopped from ringing for one full minute as a tribute to the creator. The first transatlantic telephone cable was used in 1956. A telephone cable was run across the ocean floor and lies as deep as 12,000 feet. The cable runs across the Atlantic Ocean from Canada to Scotland. There are roughly 150 million telephone lines in the world, a number that increases by thousands daily.